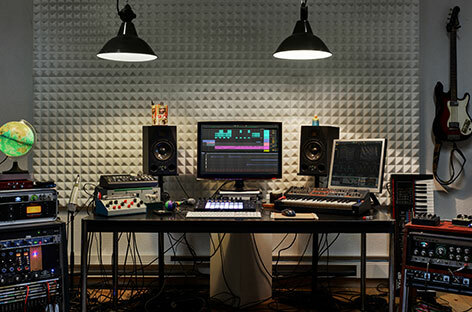 Ableton is arguably one of the most well-known names in the electronic music production world, as it’s one of the primary software companies that offers a production program, Ableton Live, and the software controller Ableton Push. Today has been a day long awaited by many producers who use the software for their own music-making endeavors: the launch of Ableton Live 10. The newest version of the production software from the Berlin-based company is available in three versions: Intro, Standard and Suite. They come with a number of new features that open even more doors to creative possibilities for artists, including four primary new additions. First, there’s Wavetable, a new synth that offers various instrumental waveforms, as well as modulation capabilities and analogue filters. Then there’s Drum Buss, an all-in-one drum workstation, and Pedal, which brings the effect of analog stomp boxes to the platform. Lastly, Echo offers new delay capabilities. Beyond the new features, the program has also completely redone its workflow, intending to make the entire creation process from ideation to final tweaks easier to stay “in the flow.” You can edit multiple MIDI clips in one view, capture any spontaneous ideas on the go and properly arrange your elements more quickly and efficiently with a new Arrangement View. Check out a video on the new software below, and read more about the product on the Ableton website. But don’t worry, music makers, there’s no waiting involved – you can purchase Live 10 online now.